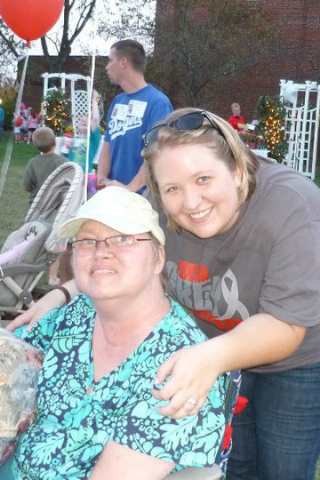 The tests have come back and there is nothing else that can be done to help my dear Aunt Debbie to wake up. Her brain isn’t communicating with the rest of her body. We are so thankful that she is not feeling any pain, but am saddened that the lines connecting her mind to her loving heart and body have disappeared. My uncle and cousin had to make the heartbreaking decision today to follow my aunts wishes and take her off of life support. She has been off the ventilator since this afternoon and is breathing on her own. Debbie didn’t want to be kept alive by a machine and didn’t want to be forced food thru a tube, so as hard as it is for us all to take away the things that are helping her stay alive, we have to do what she would want. She was transported back to our hometown this evening to Hospice where her family can be with her 24/7 as she continues her journey home. Debbie has always been such an independent woman and always took care of others. She is a go getter and would often take charge of the situation. She would tell you what you thought, even if it might not be what you wanted to hear. She was a leader and took the lead respectfully, without hurting anyone or stepping on anyone’s toes. 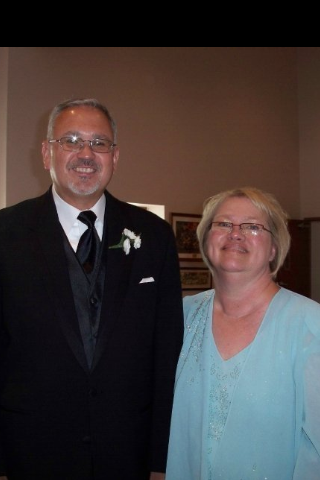 Aunt Debbie had a living will and had thought about the way that she would want to continue living if her cancer were to become debilitating, she made her decision and choose to live the last few days of her life on her own strength. She is a strong woman of faith and I am finding comfort in the idea that she isn’t afraid of dying and is ready to meet her heavenly father. She has put up a hard fight over the past four years and is ready to let God lead her down the final path of this journey. I do not remember ever hearing her complain during her battle, and that speaks volumes about the kind of person that she was, she didn’t want to burden us with it. Instead you may just see the occasional tear slip down her cheek. What an amazing example of inner strength she is! So my friends, I ask you this one last time for a few final prayers. Please pray for my Uncle Jim who hasn’t left Debbie’s side and having to say goodbye to his best friend and wife of 35 years . He has been an amazing husband and has held her hand thru this difficult journey and never let go. Please pray for my cousin Annie who is losing her Momma at the tender age of 21 years old. There are so many things that I hope she learned from the way her mother lived her life and fought this disease, even if she doesn’t realize some of them yet. Please pray for her mother, her brothers and sisters, nieces and nephews and all the friends and church family that loves her and is so proud of her for staring brain cancer right in the face for so long and staying strong. And she did it all with grace and poise we all wish we could possess. We love you Debbie and miss you already…have a peaceful trip home. Oh Mendie, I'm sorry this has touched your family and I will be praying. I hope you can close your eyes and feel peace tonight. I am so glad she is able to go home. My mil wanted that so badly, but we weren't able to fulfill that wish. Massive prayers for your family. May you find peace I'm knowing she is going to a place where she is no longer suffering. Hugs, my friend. This is tough road, but the one she wanted. You and Jim and Annie will be in my prayers for peace in your hearts. Thank you for sharing Debbie with us. Oh Mendie!! 🙁 I am so sorry!!! hugs & prayers from Iowa!! I hate this for you, so much. I hate that you're losing your aunt and I hate that your family is losing their husband and mother and daughter and friend. And I hate that you know what that feels like. If I can do anything, please let me know. Thinking of you and lifting you up. how thoughtful of her to have a living will – as hard as the choice is to make, hopefully its a little easier knowing it was what she wanted. Mendie, I am so sorry that you have say goodbye to your Aunt so soon. I think it was very smart of her make a living will so that SHE could dictate how she lives. My heart goes out to you and your family. This was a really nice tribute to your aunt. I'm so very sorry that you've had to say goodbye. I'll continue to pray. Sending lots of love and hugs.